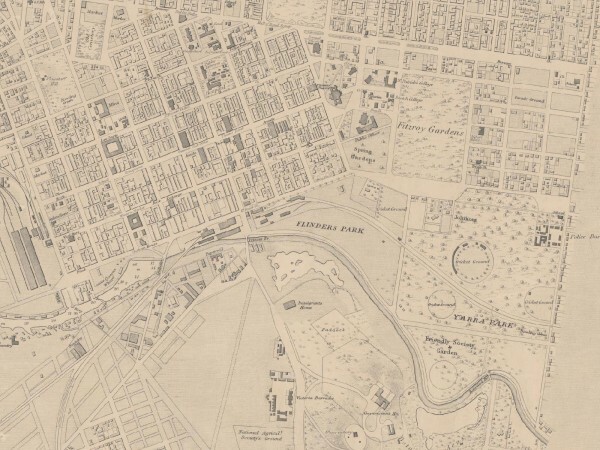 Extract of East Melbourne from British Admiralty Chart "Map of Hobson Bay and Yarra River leading to Melbourne" surveyed in 1864, first published 1865. This version has annotations dated 1875. See full chart under EMHS catalogue item emdf0041.